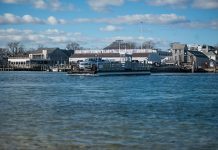 As the new year begins, Massachusetts Environmental Police Sergeant Kevin Clayton is getting familiar with his new beat, one that cuts across the Island’s six town boundaries and includes the woodlands, fields and surrounding waters. As the Vineyard’s newly assigned environmental police officer (EPO), Sergeant Clayton is responsible for enforcing state hunting, fishing, and environmental regulations. For most of the past 26 years, Mr. Clayton, 49, married and with two grown stepsons, has worked on the Cape, mostly in the area of Mashpee. Much of his work in recent years has focused on commercial fishing, in particular the growing conch fishery, and party boats. The Environmental Police reserve the Vineyard post for the rank of sergeant, in part because the responsibilities are more diversified than in other parts of the state, and include coastal and inland responsibilities. As a result, the assignment comes with a promotion. Sgt. Clayton turned down the opportunity for the Island assignment several years ago so he could complete graduate school and earn a master’s degree in public administration. “I just wanted to generate some options for myself and expand my knowledge of what’s possible,” he said. Asked why he was interested in the Vineyard post, Sergeant Clayton said it came with a promotion and offered him the opportunity for a change. “It gives me the opportunity to try something else, somewhere else in another place,” he said. He has visited the Vineyard in the past, in connection with searches and presidential protection details. He also has several Vineyard friends. He said his focus will be the Island conch fishery, boating safety, in particular the use of PFDs (personal floatation devices) by people enjoying the growing paddle sports, and aquaculture shellfish safety rules. For now he is just making the rounds meeting people and learning something about Island informality. 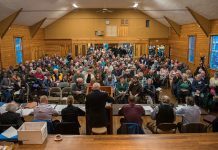 Last week, when he called the Aquinnah Police Department, Chief Randhi Belain answered the phone. “The police chiefs never answer the phone on the Cape,” he said. He spent time speaking to Chief Belain and visited the Island Communication Center. A Cape native and resident of Harwich, Sgt. Clayton came to his job naturally. He grew up in Wellfleet and attended Nauset High School. He began working at the Cape Cod National Seashore visitor center when he was just a sophomore, introducing people to the biology of salt ponds. Later, he worked as a ranger, patrolling the dunes and marshes. The transition to law enforcement reflected his interest in the environment. He attended the police academy in 1987 where he met William “Bill” Searle, the Island’s longtime EPO who retired in 2004. The men joined the force that same year and remain friends. For almost three decades, William “Bill” Searle patrolled the Vineyard. A resident of Edgartown, he was a fixture in the community and worked closely with Island sportsmen and police departments. After 26 years patrolling the Island’s woodlands and waterways, in 2004, Sergeant Searle retired. In an interview prior to leaving his job and the Island, Sergeant Searle said the biggest challenge his replacement would face would be winning the trust and support of the community. 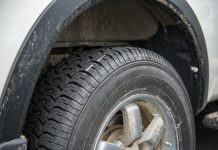 That included the Island police he or she must work with, and more importantly, the hunters and fishermen an environmental police officer comes in contact with on a regular basis, he said. Developing working relationships with those people is a key element of the job, he said. The job is not strictly about enforcement. “In my own opinion, I think this job involves a tremendous amount of education,” he told The Times in his last week on the job. In July 2004, Sergeant Pat Grady, a Sandwich resident, was assigned to the Vineyard. It took some time. but he became familiar with the Island’s maze of dirt roads, out-of-the-way fishing and hunting spots, and commercial fishermen. After five years as a commuter, Sergeant Grady was assigned to a mainland district as the Massachusetts Office of Law Enforcement shifted staff to accommodate budget cuts and personnel changes. As a result, Environmental police were assigned to Martha’s Vineyard on a rotation basis. After eight months during which the Vineyard was without a dedicated EPO, in July 2009, at the start of the busy summer season, Sergeant Matt Bass took up the Island post. Sergeant Bass, a resident of Bourne, was no stranger to the Island. He is married to the former Bridget Penicaud, a graduate of Martha’s Vineyard Regional High School and the oldest of seven children of Dominique and Margaret Penicaud of Vineyard Haven. He also spent summers at his family’s seasonal house on Chappaquiddick and worked for The Trustees of Reservations there. He quickly earned a reputation on the Island for diligence in following up on calls and community outreach. After three years patrolling the Island, Sergeant Bass was reassigned to the lower Cape and Falmouth, although he continues to fill in on the Vineyard as needed. In October 2012, Sergeant Mike Camire replaced Sergeant Matt Bass on the Island’s woods and water beat. A Falmouth resident, he commuted by patrol boat from Falmouth Harbor. In November 2013, Sergeant Camire was transferred to New Bedford. 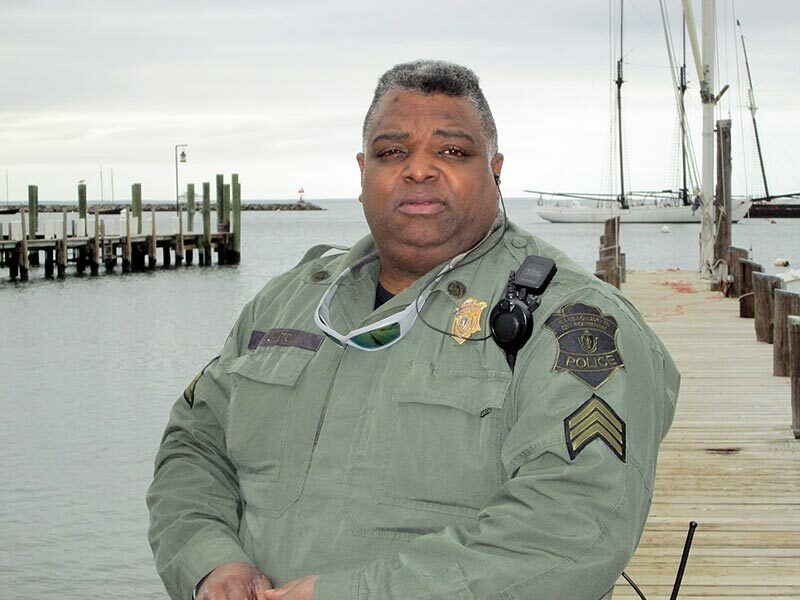 Sergeant Bass returned to the Vineyard while the Environmental Police went about the process of selecting a new officer for the Island job, leading to the assignment of Sergeant Clayton, who may be contacted through the Environmental Police communications center at 1-800-632-8075.